It’s a month til Christmas and full disclosure – I haven’t done any present shopping yet! I’ve already decided I’ll be doing it all onlinethough, I’m one of those that just can’t deal with crowds. 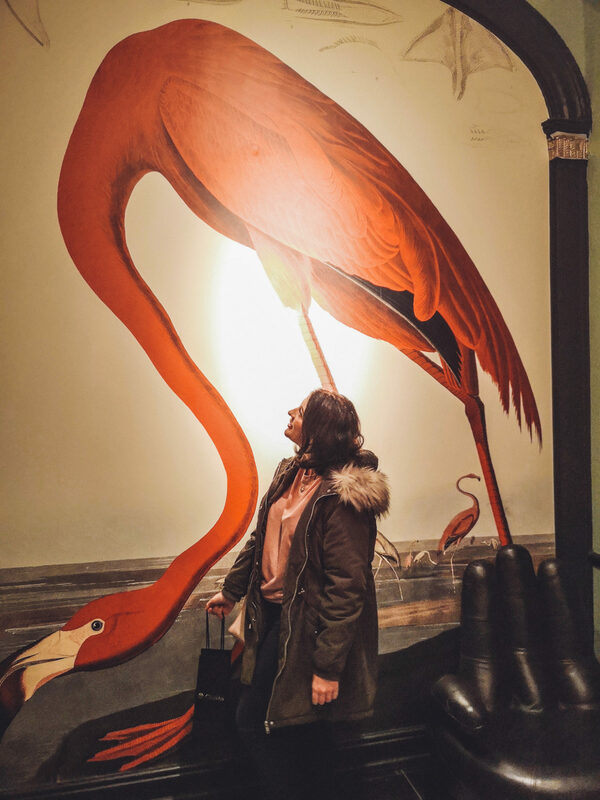 Well, if you’re like me and frantically searching for ideas –here are a couple of ideas for gluten free foodies, travel addicts and gin fiends (yeah, I know my brand!) as well as some fun stocking filler ideas! I couldn’t do a Christmas gift guide without some yummy gluten free treats – now I love me a box of chocolates to open on Christmas day but sometimes you want something bit different to munch on while you’re working your way through…well, whatever’s on the telly. 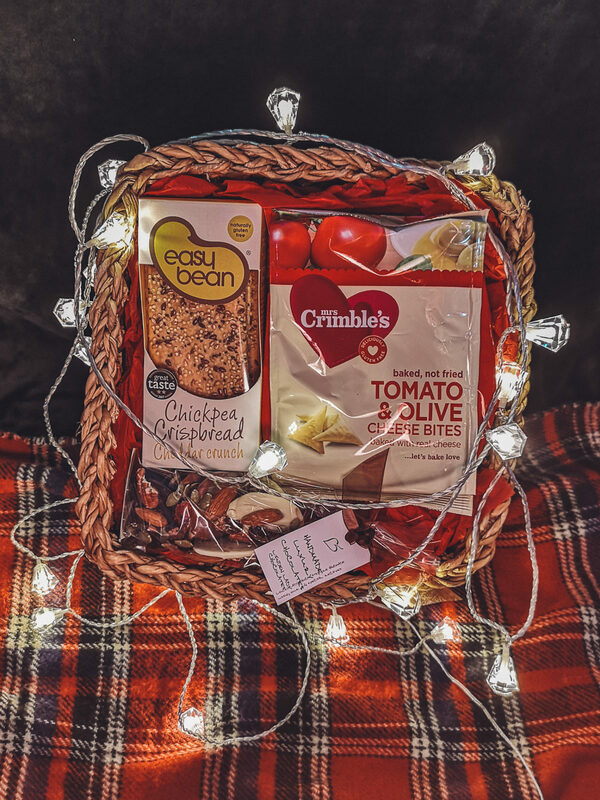 Well, if you’re looking for some goodies to work your way through on Christmas and Boxing Day – this incredible hamper will definitely do the job! 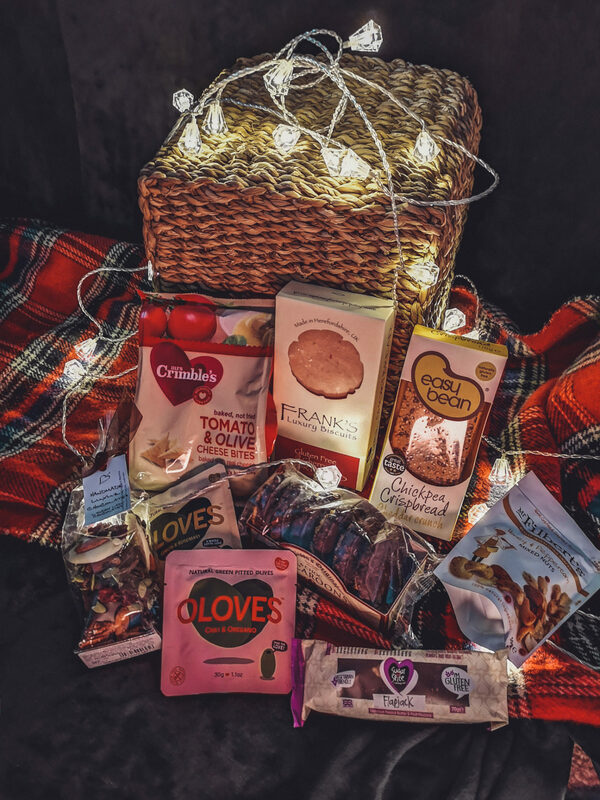 This year Appleyard London have an incredible selection of gift hampers – from gluten free goodies, to vegan treats – wine baskets to alcohol free treats – I think they’ve got over 100 on their site! There really is something for everyone, but this one in particular is full of yummy gluten free treats that I know I can’t wait to dig into! First up, a familiar name – a pack of Mrs Crimble’s Original Cheese Bites, perfect for to go with the abundance of cheese that will inevitably get broken out on Boxing Day! Next up adding some more cheesy savoury flavour is a Cheddar Crunch flavoured Chickpea Crispbread from Easy Bean. I believe another option you may find in your hamper is the Moroccan Spice flavour – that sounds great too! Adding some more crunch are some Honey & Peppercorn Mixed Nuts from Mr Filbert’s, and the final savoury selection were two packs of Oloves – natural green pitted olives flavoured with Chilli & Oregano and Lemon & Rosemary. Onto the sweet stuff (come on, you need some sugar on Christmas day!) – the first thing that caught my eye was some gorgeous looking handmade chocolate from Linden Lady – like giant chocolate buttons with nuts and seeds embedded in them. Next up was a pack of chocolate macaroons from Pattison’s Original that I am SO excited to try. There’s also a Peanut Butter & Fruit Flapjack from Sugar ‘n’ Spice ‘n’ All Things Nice and some interesting looking cherry shortbreads from Frank’s Luxury Biscuits – I love shortbread but never seen any flavoured like this – they’re pink! I’m super excited to dig into all these goodies across Christmas and it’s defiantely a gorgeous hamper to receive. Appleyard London also offer a selection of other gifts on their site including flowers – why not add a gorgeous bouquet onto your gift delivery? The Gluten & Wheat Selection retails at £42.99 and you can buy it at appleyardflowers.com. When I received these I couldn’t help but smile at the packaging! It’s reminiscent of a cute little garden shed, and each flavour comes with a unique tongue in cheek story behind the flavour – such fun! How cute is the packaging? There are seven fun flavours to choose from – Pecan Pie, Butterly Nuts, Say Cheese!, Salted Caramel, Pop ‘N’ Choc, Berry-Licious and Sweet Cheesus. All of the flavours are of course gluten free and are handcrafted from all natural ingredients. 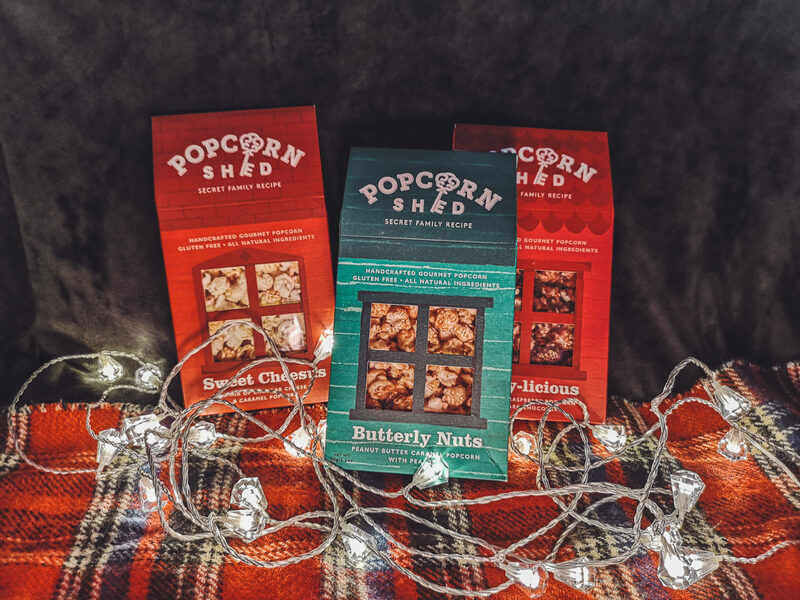 The first one I’ve tried is the Sweet Cheesus flavour – a mix of cheese and caramel ‘joined together in holy popcorn matrimony in the popcorn chapel of dreams!” – it really shouldn’t work but really does – I actually might be scoffing them as I speak! A pack of Popcorn Shed gourmet popcorn costs £3.50, and you can also get sets of each flavour. Perfect for Christmas, they’ve also got some fab little jars of popcorn! 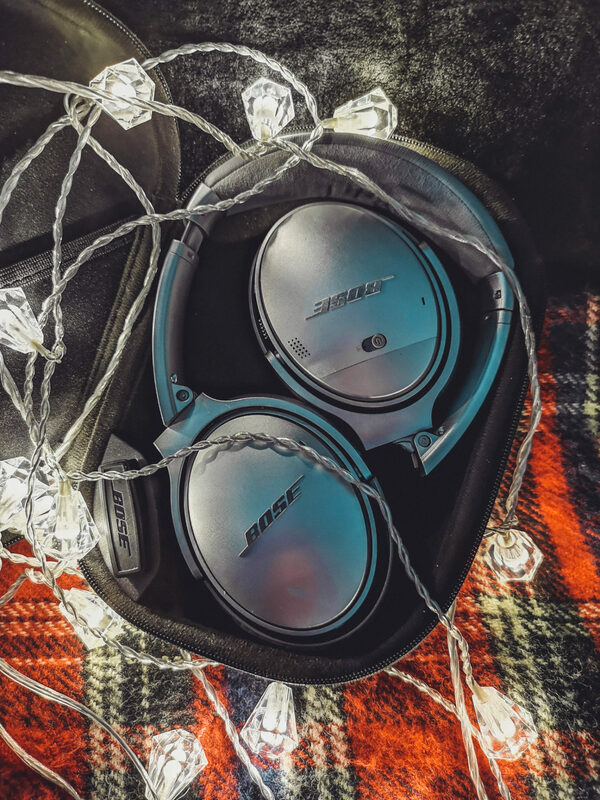 I’ve spoken about these before on my blog in my travel essentials but they really are an absolute game changer – especially for long flights! They’re really effective at blocking out all the background humming noise of the aircraft and the inane chatter – even any snoring from the seats around you! They’ve got a really comfortable fit and give great sound, even when the battery runs out. They need power to activate the noise-cancelling ability, but the charge will easily hold over a long haul flight, and you can easily charge them using a mini-usb cable. If you’re on land or in the gym they connect to your phone/laptop via Bluetooth, but if not they do come with an aux cord – they even have a handy double prong headphone jack converter for planes! As I publish this they’re reduced to £129.95 in the Black Friday sale! Check them out on bose.co.uk. 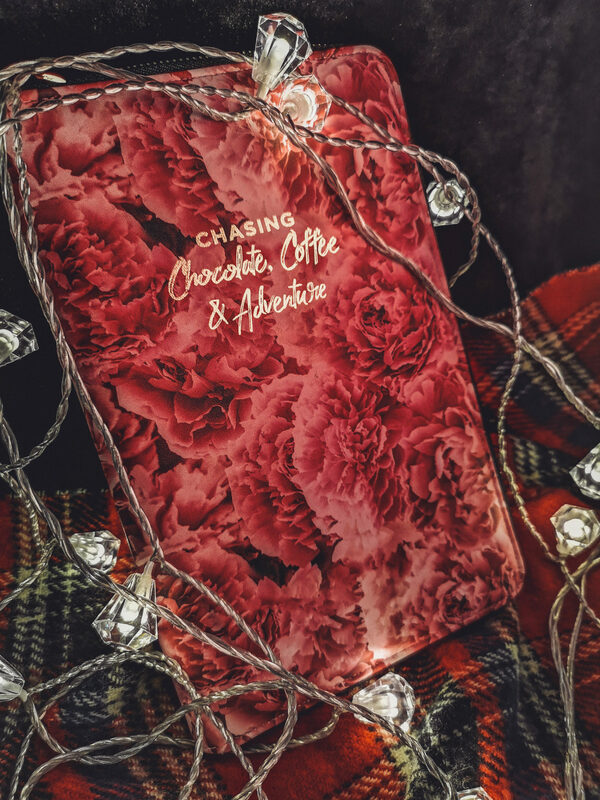 This one is from a brand called Typo – I don’t think this particular one is available any more but they have an amazing range – this organiser had slots for card, your tickets or boarding passes and I just thought the design was stunning! View travel organisers on Typo.com. I have been lusting after one of these for the longest time and they just got better! El Camino is a travel based charm bracelet – I love the idea of charm bracelets but the big players out there aren’t really me. With El Camino buildup your bracelet to represent the journey you’ve been on. 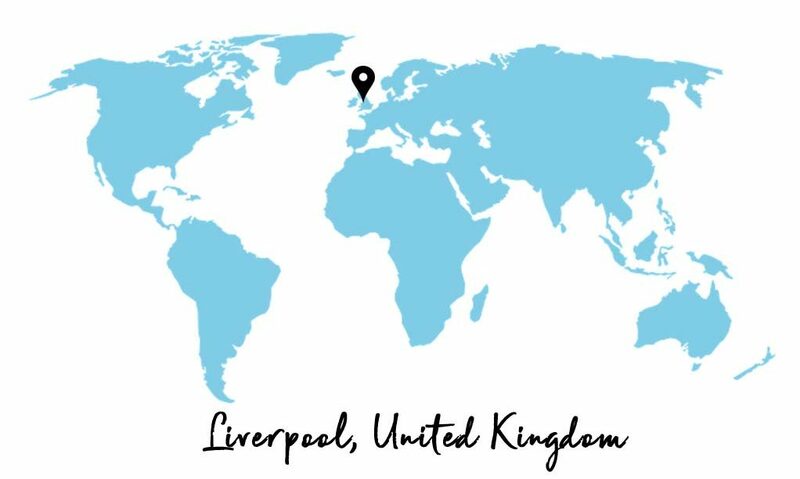 You start off by selecting a handmade cord bracelet, which fun fact, is made in Merseyside! Next you add on ‘Country Steps’, of which there are over 240, or‘Small Steps’ – these include cities or landmarks – Barcelona, Grand Canyon and Paris are some that I eyed up – there’s even one for ‘Home’! 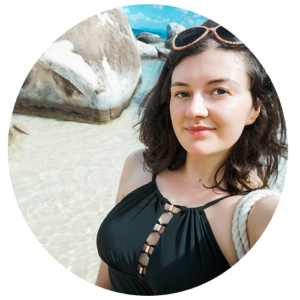 You can also add ‘Region Steps’ to represent continents and now, perfect for cruise addicts, you can get ‘Ocean Steps’ – I just think they’re such a brilliant and personal way of remembering your travels, or perhaps a particularly special trip. You can even get personalised steps made, perhaps to remember a birthday trip or group holiday. We’ve actually kind of banned each other from getting any actual gin this year I may end up breaking that though! Of course, any gin is going to be great, but why not look into getting a small batch gin? 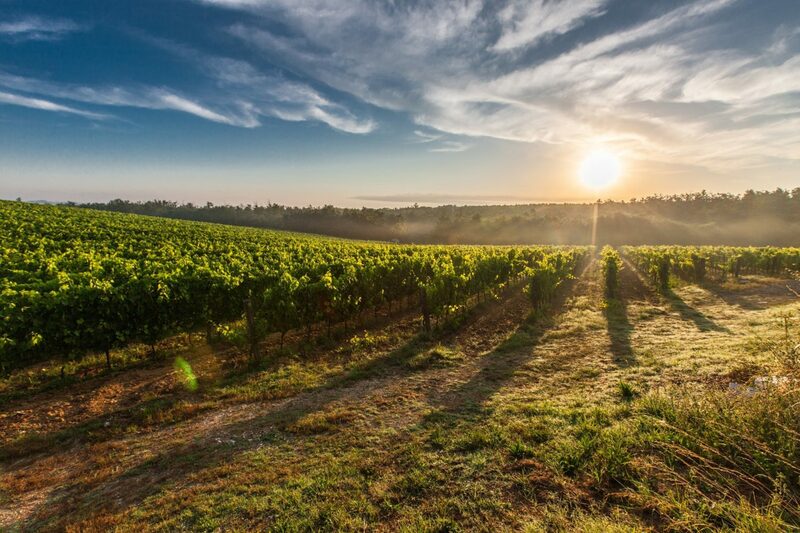 With gin surging in popularity there are now so many out there to choose from, whether you favour a traditional juniper flavour, something pink and fruity or something a little more unusual. market, distilled in Glasgow. It’s a real family brand, named after the owner, Carol’s, daughter. After a long process of perfection, they’ve come up with two brilliant colour changing gins. from the bramble botanical – I have an embarrassing confession to make – I didn’t know bramble was Blackberry until I googled it to write this…is that weird? Anyway, being a blackberry favour, it’s best served with fresh blackberries as a garnish, along with tonic and plenty of ice. The exciting novelty bit is that when you add tonic, the red turns into a beautiful orange hue. Butterfly Pea botanical, an Asian flower used commonly in Ayurvedic medicines…so can we take that as it being good for us? The gins are all made in Glasgow with bottling and labelling being done by hand. Each bottle is individually numbered with the batch and bottle number – how cute! 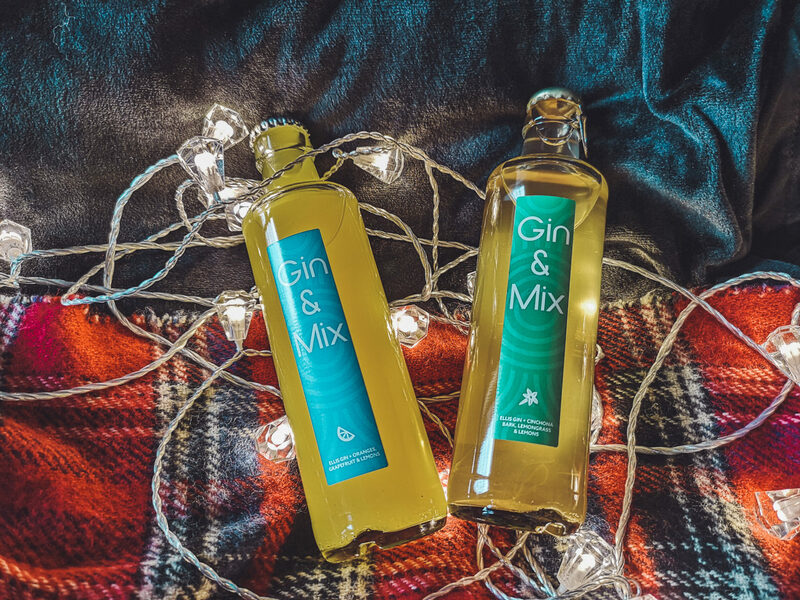 From the same Glasgow distillery comes Gin & Mix, a ready to drink gin cocktail. I often find premixed drinks to be a bit hit and miss (maybe a subliminal association with those awful cheap ones you get for the train ride into a Liverpool before a night out) – but these are truly tasty! I’ve expressed before how I think it’s true that if you think you don’t like gin, you’ve very possibly had the wrong mixer with it. I’m partial to a good old traditional G&T, but there are so many other mixers out there. Gin & Mix is a great example of using a complimentary mixer, matched you don’t have to do the searching to find that perfect serve. Gin & Mix is available in two flavours – the intriguingly named Cinchona flavour, and the “breakfast gin”, Citrus. 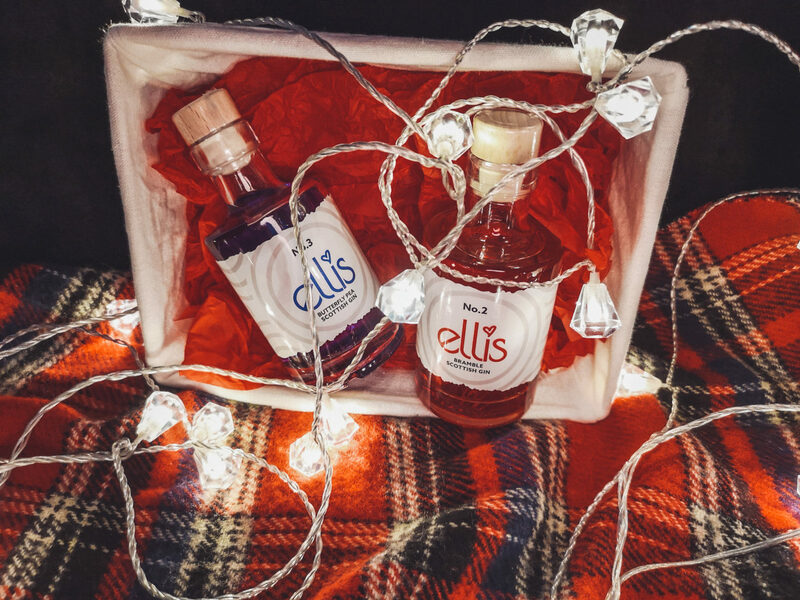 The first flavour, Cinchona, comes in a pale orange colour – made from the small batch Ellis gin, the flavours comes from 100% real fruit juice and a blend of natural quinine from the Cinchona tree (nicknamed the Fever Tree – so that’s where that name comes from I guess?). Googling quinine I discover it used to be used a cure for Malaria…more evidence that G&T is good for us now? The second flavour, the Citrus one, is nicknamed their ‘Sunshine Gin’ – with a blend of oranges, grapefruit and lemon – a really summery flavour! The packaging on these premade drinks really stand out and they’re a nice size – I joke about the train ride into Liverpool but they’d make lovely easy to do drinks for a cute summery picnic or garden party – a nice contribution when you have one of those group barbeques and you want a better idea that “I’ll bring the hummus”. Ok so the story behind this one…you know when you get those mugs and pens and things with your name on as a kid? Well, my name was practically never on anything…so you can imagine the sense of childlike excitement I got when I saw my name on a Toblerone on the homepage of Prezzybox! I was so excited, the cuties offered to send me one! Thanks guys! 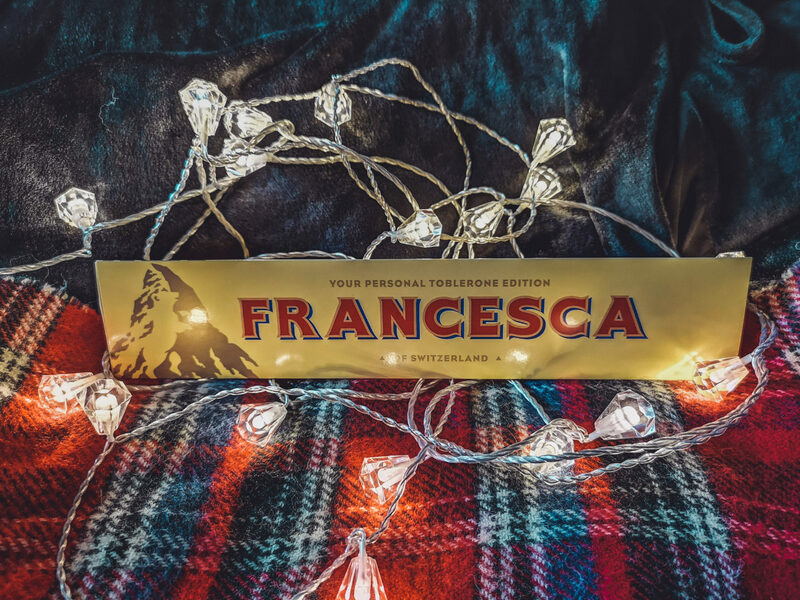 In all seriousness though, you can’t go wrong with this one.Everyone loves getting something with their name on –plus I blooming love Toblerones! Prezzybox have a load of other personalised gifts perfect forChristmas including a Love Island style water bottle, jewellery and books! The Personalised Toblerone is £12.99 and you can shop it at prezzybox.com! This is perfect for anyone that loves booze and a sweet treat – alcoholic lollipops! Holly first set up the company back in her Unidays and makes a range of yummy sweet treats! 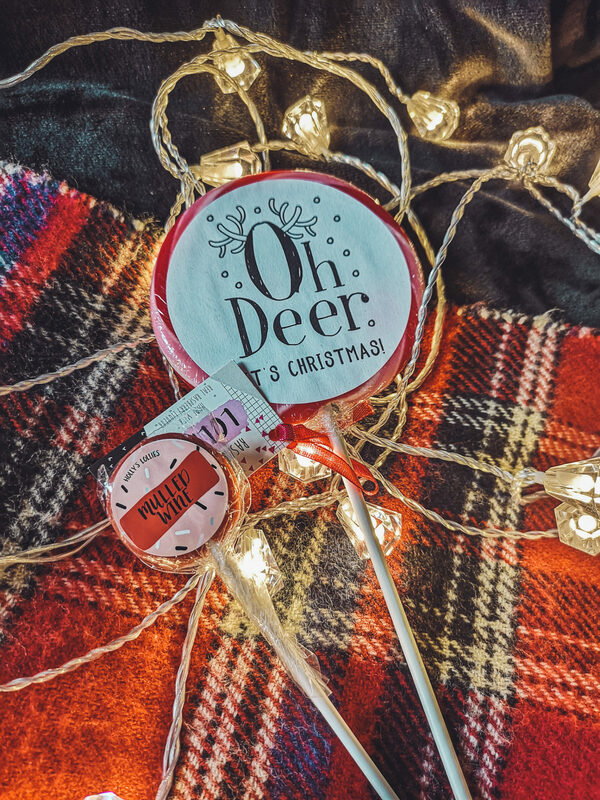 She very kindly sent me a Raspberry Swirl Mulled Wine lollipop to try – the perfect Christmassy flavour! There are also gin flavours, prosecco flavours and even amaretto chocolate slabs! The packaging isreally whimsical and perfect for a little Christmas stocking filler! What have you got your eye on? 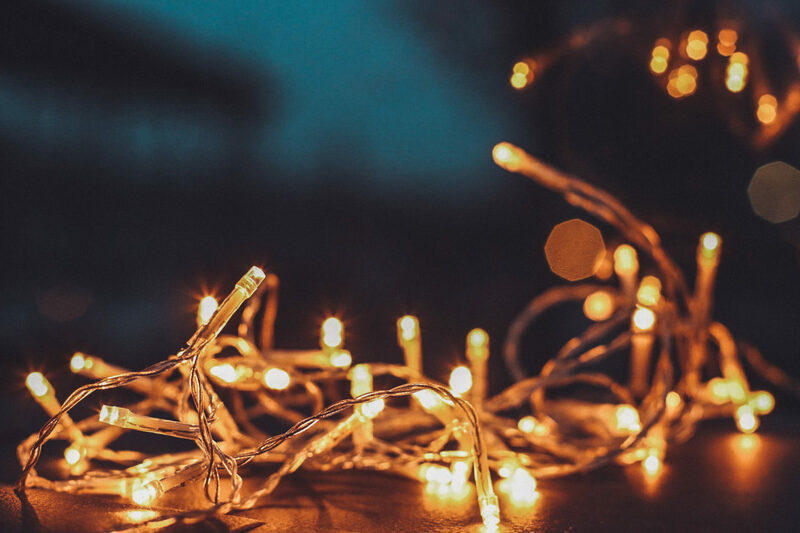 So, these are a couple of my top recommendations for this Christmas – is there anything you’ve got your eye on? Or perhaps something is a must have for a gluten free foodie, travel lover or gin fiend? Let me know in the comments section below – and merry Christmas! Colour changing gin sounds so awesome! I love the idea of Holly’s lollies too, such a cute niche for stocking fillers!